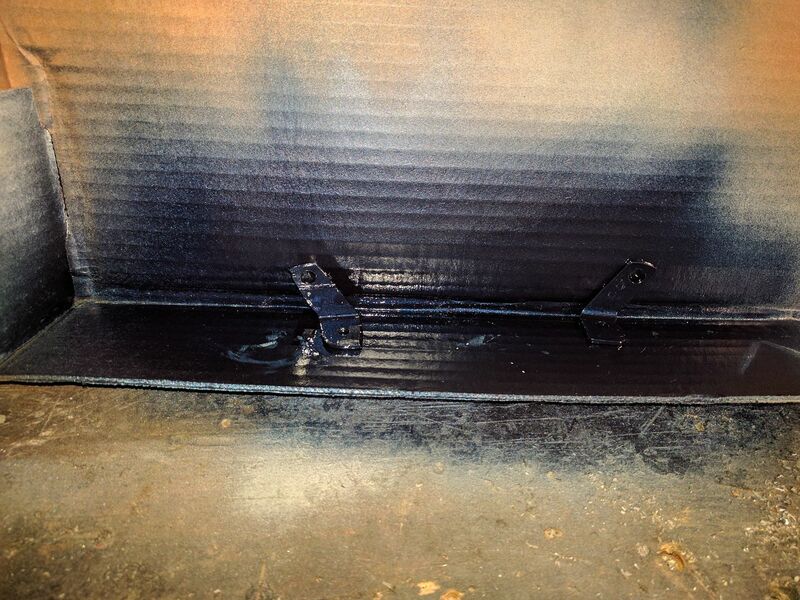 It involves cutting and welding, taking the knee bar out the Carpet out or away to a point. I like usual decided to go another route. 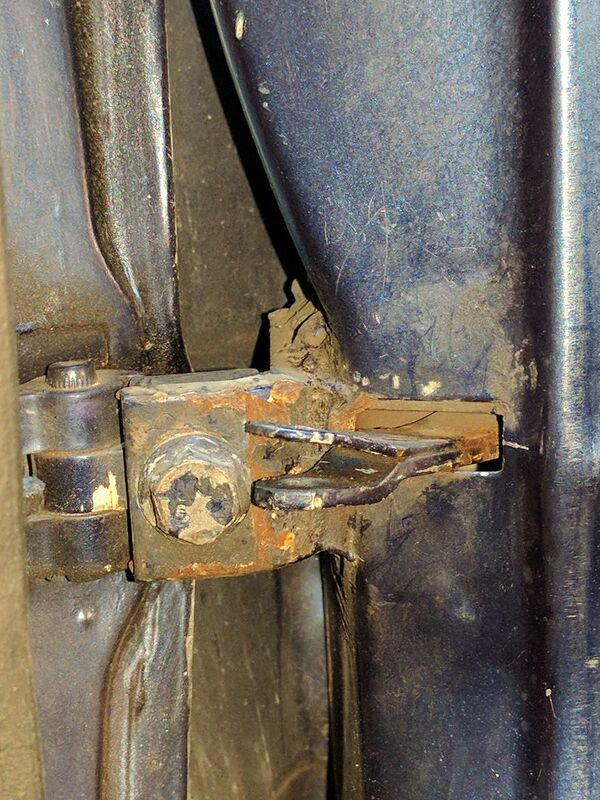 Yes I could of welded the thing to the Pillar on the Bottom, I have a wire welder, But decided to try something else, after seeing that some cars did the same and others used a Screwed on Binder to hold the Check, I decided to try it. Now I could of cut the thing off but I figured with my Luck, it would rattle inside... and I hate rattles. I used a few power tools, as in my Grinder, and Sawzall, most things are in your tool box, as in Hacksaw, and files…. 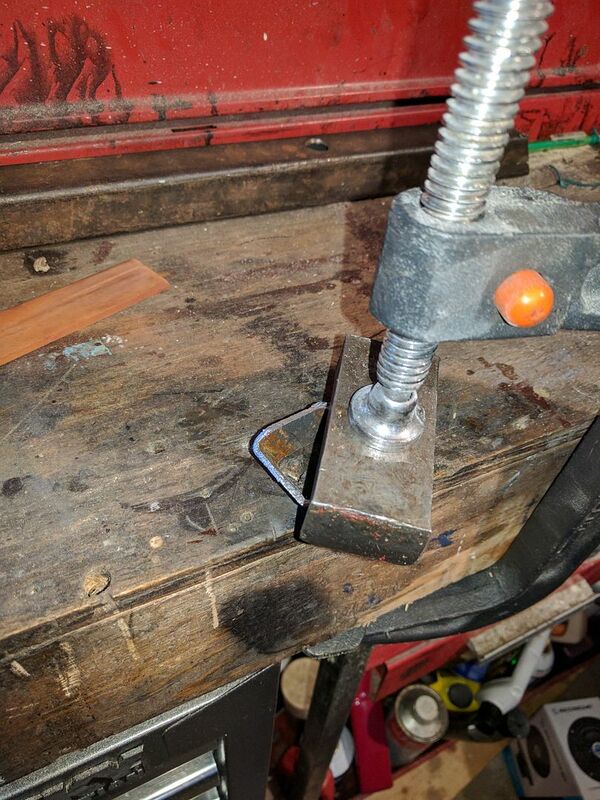 I tried to locate a 90 degree angle bracket but had issues with bending the steel as it was soft and usually tore with or without heat as I was trying to get it bent right… Sooooo Back to the drawing board. I used a sawzall to cut the piece out. Knowing that I really needed 2 of the pieces in opposite directions. 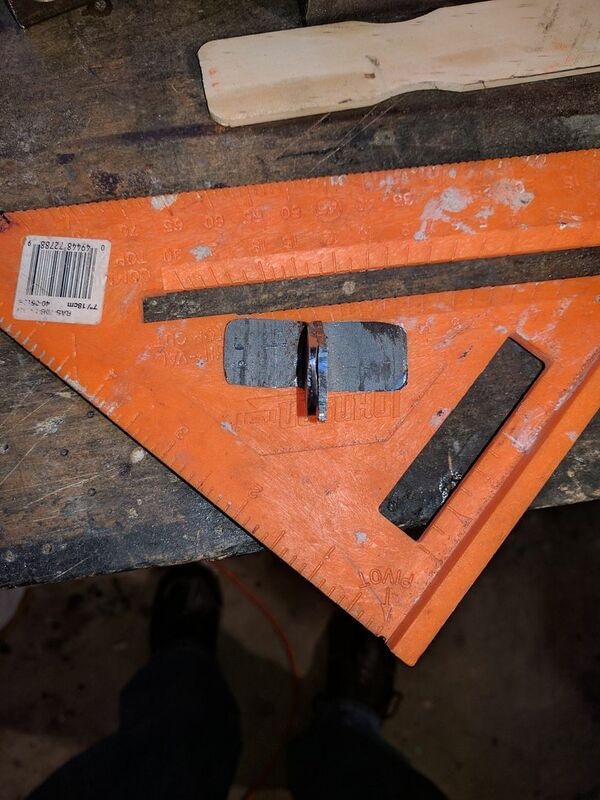 I cut the Square stock in half by the long corners. 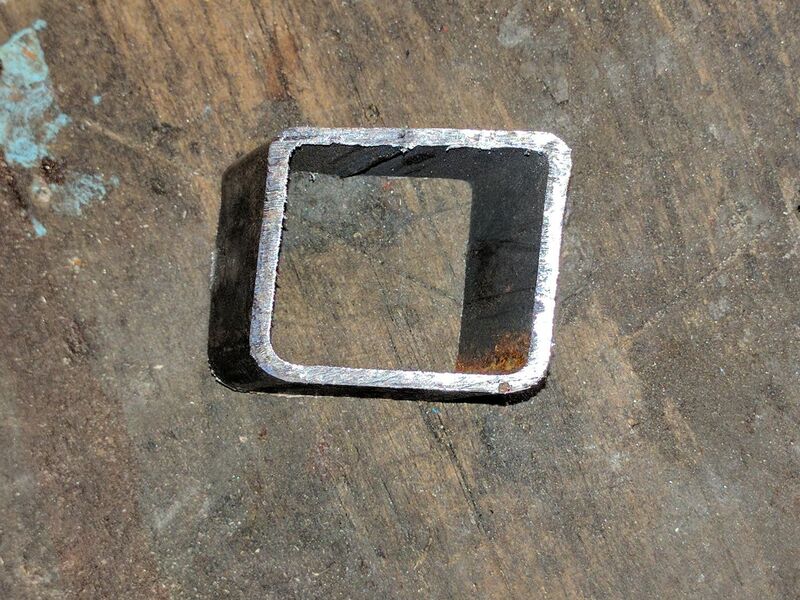 I used a grinder and a Pair of Vice Grips to hold the pieces together so I could grind them the same shape. I cleaned and sanded the Metal, and Primed it well. 3 coats. 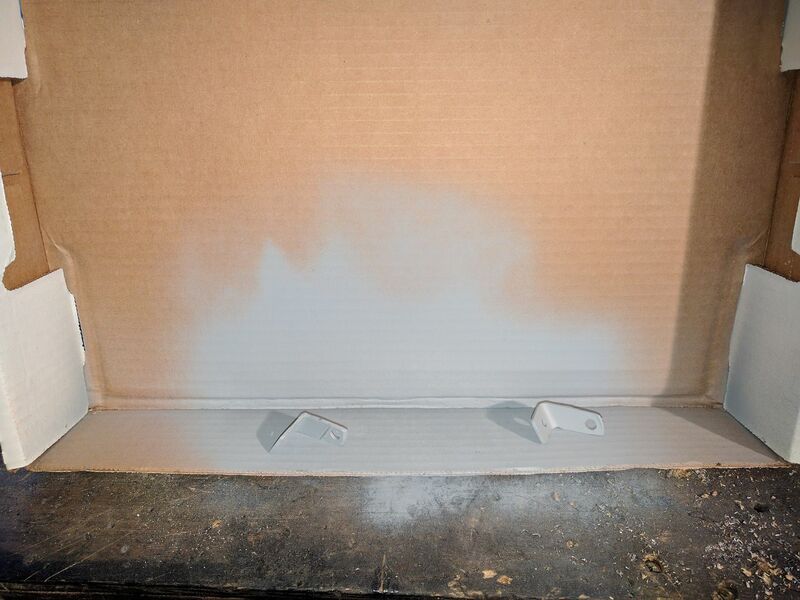 After allowing the Primer to dry, I took out the pin for the door check. 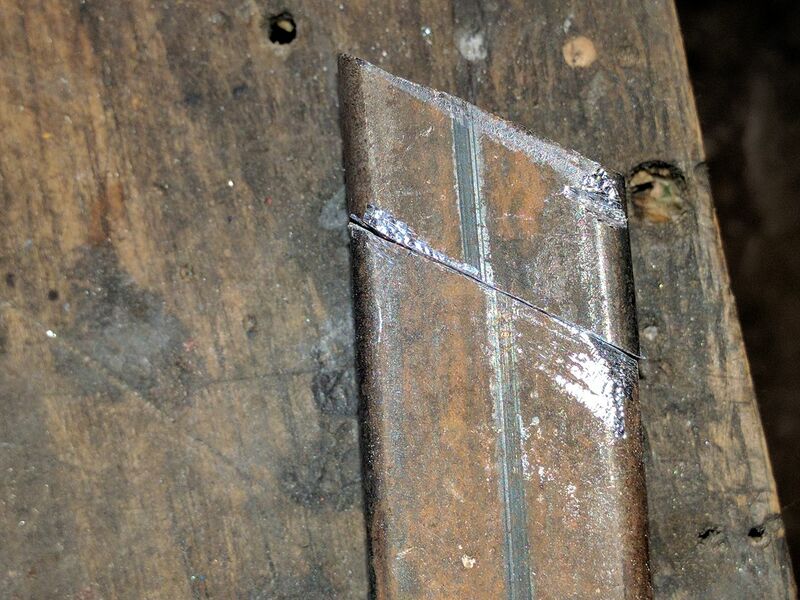 Placing the 2 brackets on top and bottom of the Broken check, I inserted the pin and clamped them with small vice grips, and used the 3/16 drill to drill through the sill of the “A” Pillar. I unclamped it, and took it back to my pain booth. Next and Last I place the brackets on top and bottom, used the Pin to hold it all together, and using Stainless Steel Rivets to Rivet it to the Pillar, I decided to add a washer to the head side for increased gripping strength…. but in the process I broke my old trusty POP riveter…Dam and it was only 15 years old…. 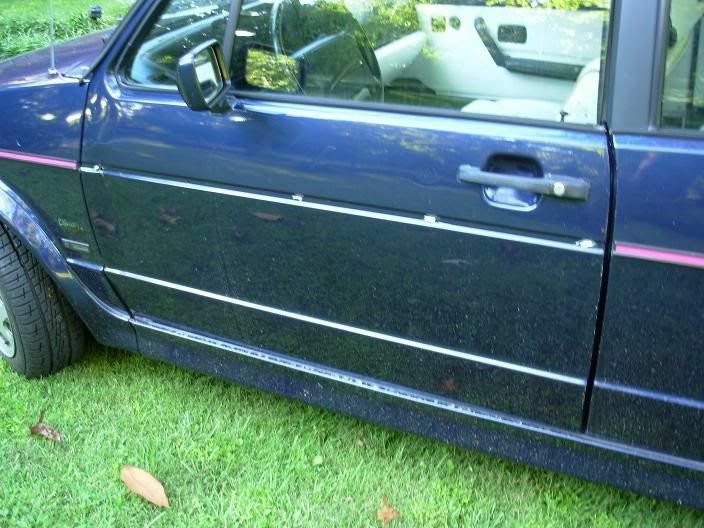 So I went to my fall back a 10mm Washered Sheet Metal Screw black in the Pick-a-nut section that was about 5/16. and screwed the bottom in….. it was late and I the store where I could buy a new Hydraulic Rivet Gun was closed…. After the Job was over, I hit the arm and top bolt with paint and clear. 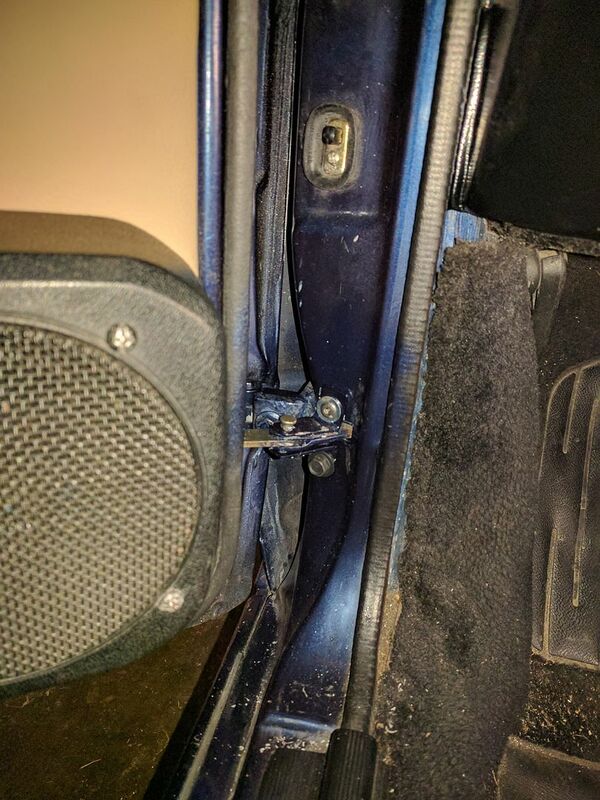 My door Stays open now, I don't have to possibly hurt the Speaker Pods with my foot or knee, and I have no "pop" noise when I open or close my door. Just another way that I did it.